In Resolution 25/1, adopted in March 2014, the Human Rights Council requested the Office of the High Commissioner for Human Rights to “undertake a comprehensive investigation into alleged serious violations and abuses of human rights and related crimes by both parties in Sri Lanka during the period covered by the Lessons Learnt and Reconciliation Commission (LLRC) and to establish the facts and circumstances of such alleged violations and of the crimes perpetrated with a view to avoiding impunity and ensuring accountability, with assistance from relevant experts and special procedures mandate holders”. The head of a leading Tamil diaspora group says he had talks with Foreign Secretary Prasad Kariyawasam and other Foreign Ministry officials in Colombo. Five years after the release of the Report of the Secretary General’s Panel of Experts (PoE) on Accountability in Sri Lanka, in March 2011. 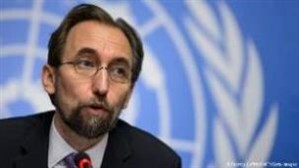 Geneva-based United Nations Human Rights Council (UNHRC) could revisit resolution 30/1 titled ‘Promoting reconciliation, accountability and human rights in Sri Lanka’ top UN official said on Wednesday.